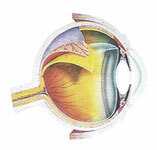 The cornea is the clear tissue covering the front of the eye. It is a Focusing element of the eye. Vision will be dramatically reduced or lost if the cornea becomes cloudy from disease, injury or infection. This is known as corneal blindness. Post operative complications or infections. Fortunately lost sight can be restored through the medical intervention of corneal transplantation through the donated eyes. You can help this happen. 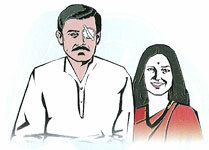 Let Eye Donation be your family tradition. Donate eyes of your dearest. Age does not matter. Who can be an eye donor? The eyes of the deceased of any age can be donated whether he/she has pledged the eyes or not. Spectacle wearers, diabetics, hypertensive and people suffering from systemic disorders like asthma, tuberculosis can also donate eyes. Patients who have undergone cataract surgery can also donate eyes. Switch off fans, keep air conditioner or cooler running and place wet cotton with ice over the closed eyelids. It will help keep the tissue moist. Raise head with a pillow.